Air conditioning contractors are highly aware that technology has come a long way since the time of ice blocks and fans, swamp coolers, and noisy power-guzzling units. And with energy efficiency on the minds of most California homeowners, air conditioning companies are working hard to stay ahead of the curve. Fortunately, manufacturers are also working hard innovating and integrating new technologies to make keeping cool even cooler. So, what’s going on in the air conditioning and HVAC industry? Lots! Here are some of the trending gadgets, designs, and wild ideas that could wind up in your home or office in the near future. One of the most ‘out there’ ideas comes from some pretty crafty engineers at Standford University. In an effort to create the most energy efficient AC unit on the market, SkyCool is testing rooftop panels that do just that. These optical surfaces bring the temperature of flowing water to a level lower than the surrounding air without the use of electricity. But don’t throw your existing system out just yet, these inventors are interested in zero-waste across the board, which is why it can be integrated with HVAC units for maximum efficiency and waste-free upgrades. 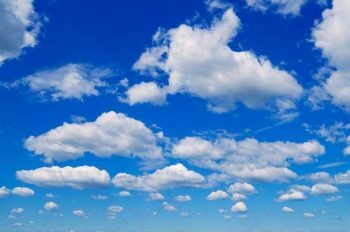 A more detailed explanation of this new technology can be found in the Arch Daily article, but suffice it to say – reducing cooling costs and emissions by using the renewable resource of outer space sounds pretty exciting. Engineers are interested not only in developing systems that demand less from our finite power sources, but that capitalize on thermal energy that would otherwise be wasted. Oak Ridge National Laboratory and Georgia Tech and IntelliChoice Energy are combining what’s called a Ground-Level Integrated Diverse Energy Storage (GLIDES) system with AC systems to create “efficient building-integrated electrical and thermal energy storage.” Which basically means they’re using heat-waste to regenerate cool air. According to Energy.gov, the system could increase HVAC efficiency by 30%. Though smart thermostats are no secret, having made their way into millions of homes worldwide, Nest keeps innovating. Their newest models come with fun new buttons and features that continue to raise the bar on in-home comfort. 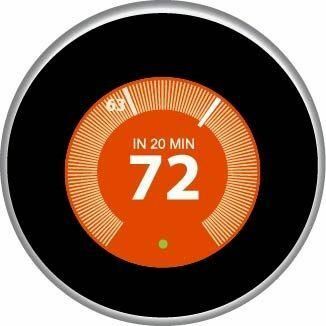 The Nest Learning Thermostat even learns your daily routine and develops its own program based on your habits. The Nest Temperature Sensor can prioritize specific rooms depending on schedules and how you use those areas throughout the week. And of course, Nest can be programmed and adjusted from your Smartphone no matter where you are. Smart thermostats don’t leave you in the dark, either. your Energy History will show you how much energy you saved, which times of day are most demanding on your system, and how to be sure that you’re continuing to save on energy costs throughout the year. Ten years ago this device may have seemed far-fetched and even superfluous. But, now? Practically essential. 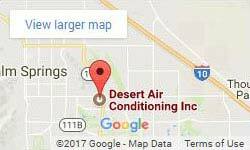 For the latest in air conditioning technology including ductless systems, energy efficiency tips, and award-winning service, call Desert Air Conditioning.